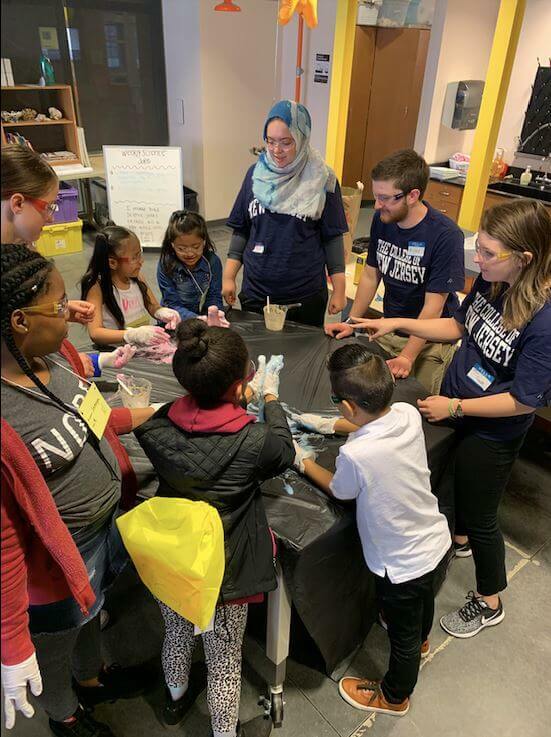 Developing Kids with a Thinking Mind was a KDP-sponsored event for students from Carroll Robbins Elementary School in Trenton, held on Sunday, April 7th, 2019. Students participated in four PBL-based, hands-on activities. Throughout the event, students created their own creature, made elephant toothpaste, estimated how many M&Ms were in a jar, and investigated what oobleck is! The event was organized by students Kristen DiGiacomo and Kimberly Cook, and TCNJ professors Dr. Pan and Dr. Conte. The event was run with the help of these stellar volunteers: Abbie Rizzo, Amaly ElMenshawy, Amandalis Barrood, Breanne Fenton, Bryan Cook, Jules Rizzieri, Maddie Cade, and Michelle Parkhurst.